It’s Saturday morning, which means the Christown Spectrum Mall in Phoenix is packed with people–from parents dragging children into Bed Bath & Beyond to teenagers sampling new fragrances at Bath & Body Works. Among the chaos is Alexis Skye, a tall, lanky woman with bright pink lipstick quietly rifling through the clearance section at Target, untangling shirts with delicate straps from the mess of interlocked hangers and clothing. She pulls out a pair of shorts. “Cute,” she muses, then tries to dip her fingers into the pockets. They’re fake. She sighs and puts them back. She laughs at her own words. Women have been begrudging shallow pockets and giving each other knowing looks for as long as modern fashion has existed. Now, Skye is in on the secret. Skye spent the better part of 38 years fixing what she could never get used to. Seven-year-old Skye’s birth certificate listed her as male in Montgomery, Alabama, and she was put on a rotating cocktail of medication. Doctors didn’t know why she was having fits of anger and violence at school (they would later diagnose her with epilepsy, ADHD and autism), and her home life wasn’t much better–Skye’s family fled Alabama after her father molested her, and she was put in an all-male group home where she was often bullied. A 2017 survey from the National Center for Learning Disabilities found students with cognitive disabilities are three times more likely to drop out of school due to poor disability resources such as a lack of Individualized Education Programs. There was more: At the group home, she began to change, and she would encounter violence from the boys. The teenage Skye began staring harder at the peach fuzz around her chin and her stronger jawline. She experimented with clear nail polish, lip gloss and an androgynous wardrobe. Fast forward more than a decade: Skye is wearing pink patterned leggings and a black top, complaining about pockets in women’s clothing. It wasn’t an easy transition. Skye dropped out of high school and began finding the right combination of medication to help her with epileptic fits, her ADHD and autism. 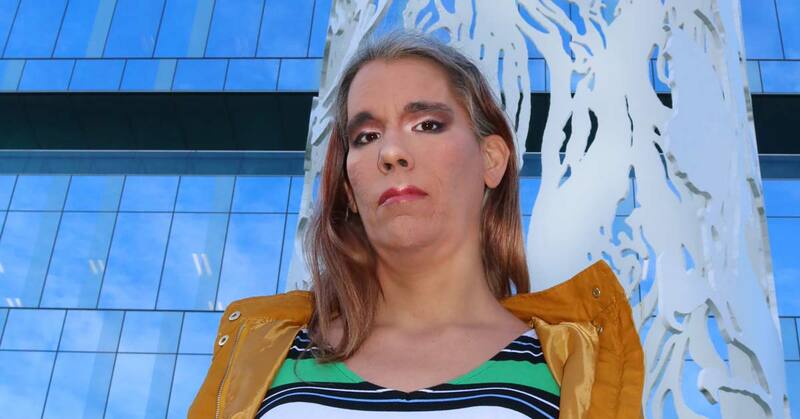 She started medically and physically transitioning, covering her 5 o’clock shadow with concealer and painting her eyelids with smoky, dark kohl. She takes two forms of hormones: pills and patches. She also takes a testosterone blocker called Spironolactone. Finally, she was getting control of her own body. It’s a story Doug West has seen many times as a consumer advocate at Ability360. For the last three years, he has been working with more than 150 people with disabilities to reintegrate them back into the community through work, education and volunteer programs. “It’s kind of like when you’re uncomfortable in your own skin, you’re just not comfortable all-around,” West said. In 2017, the National LGBTQ Task Force collected data and concluded the unemployment rate for the trans and non-binary workforce was hovering at around 16 percent, compared to the nine percent of overall employment. The number partly stems from poverty and a lack of school safety during education years. The last couple of years have been a whirlwind for Skye. She passed her high school equivalency exams and registered for classes at Rio Salado College, which she completed in five months. She graduated from a leadership program and changed the name on her birth certificate to Alexis Skye. Despite her progress, safety eludes her. On the route she takes every day from the light rail to her house, she can point out where that man was when he ran after her, knife in hand. Just around the corner, a stranger in a van followed her and commanded her to get in. In her own home, in front of her room, a maintenance worker groped her. “Before transitioning, before all of this, these kinds of encounters would have made me break down into a weeping mess but now I know how to take care of myself,” Skye said. Now, Skye is working on being more involved in giving back to the trans and disability communities in Phoenix by attending political demonstrations, support groups and education classes. She undergoes electrolysis to get rid of unwanted hair and continues her hormone regimen. Alexis Skye is in control. 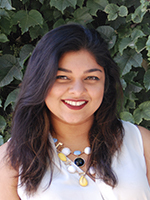 Keerthi Vedantam is a Silicon Valley native studying journalism and graphic design at Arizona State University. She’s always on the lookout for good stories and innovative ways to tell them. Outside of Ability360, she produces podcasts and takes pictures. Keerthi lives on a steady diet of hot sauce and podcasts, and she wouldn’t want it any other way. Read more by Keerthi Vedantam.